OK Go : TheyWilllRockYou.com – For the love of music! Serving Boston and Greater New England. OK Go premiered their new song “The Greatest Song I Ever Heard” today over on RollingStone.com, check it out here. The song was written for Morgan Spurlock’s new movie POM Wonderful Presents: The Greatest Movie Ever Sold. a documentary that explores the world of product placement, marketing and advertising. OK Go will also be performing the new tune on The Tonight Show with Jay Leno” on Thursday, April 28th. OK Go has also announced plans ot release a live album on June 21st on Paracadute, the independent label founded by the band last year. Entitled 180/365 – a reference to the number of shows the band played in 2010 – the collection will include 19 tracks recorded live on a multi-track system during their fall tour. Produced and mixed by Dave Fridmann, the CD will be the first ever to feature a “Tronpak” (http://www.tronpak.com) case, a unique and environmentally friendly packaging from Norway. Check out OK Go’s new video for Last Leaf…and if you haven’t eaten breakfast yet you may want to go grab a bagel before viewing! The video is comprised entirely of photographs (15 still shots for every second to be exact). I hope they give us a behind the scenes look at this one! Do it for the kids! 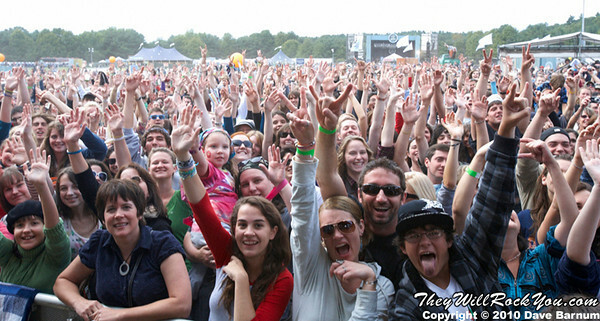 The music world has festivals for every walk of life from hipsters to metalheads so…why not the kids? The fine folks at Life is good decided to give it a try and gave Boston a brand new festival to hopefully look forward to for years to come. The two day event kicked off on September 11-12 and raised over $600,00 for the Life is good Kids Foundation while offering up the most eclectic two day gathering of bands, performers and artists alike to deliver positive vibes all around. The good karma runneth over! Proving that mixing family and fun doesn’t have to be a recipe for bland the festival brought out some of the best from the music world while keeping the kids fully involved with their own tent and kid oriented entertainment. From a musical perspective, the festival brought out the best of the best from all genres – from the headliners – Jason Mraz and Ben Harper, to the local favorite Will Dailey & The Rivals and Grace Potter & The Nocturnals to one of our personal favorites here at TWRY –OK Go, as cliché as it sounds, there really was a little something for everyone. Taking place on the grounds of Prowse Farm in Canton, MA, it seemed to be a perfect and picturesque locale for the event giving the 30,00 people who attended a chance to check out everything Life is good had to offer. Proving that truly Life is good we’re already looking forward to next year! TWRY photographer Dave Barnum was onsite to catch the sights and sounds of the festival. Check out his galleries to get your own dose of the warm fuzzy feeling that Life is good induces! Since their first viral video success, a simple dance in the backyard, OK Go has become pioneers in the art of both video-making and viral marketing. The video for their latest single, “This Too Shall Pass,” is their most ambitious yet; it took months to develop and involved a team of creative engineers with day jobs at NASA and Jet Propulsion Laboratory. The two-story Rube Goldberg machine is a wonder of science and art, and received 1 million hits a day in its first week on YouTube. But the video itself is only half the story. Just after the release of the band’s new album in January, “Of the Colour of the Blue Sky,” a furor erupted because fans could not embed earlier OK Go videos due to contractual issues. 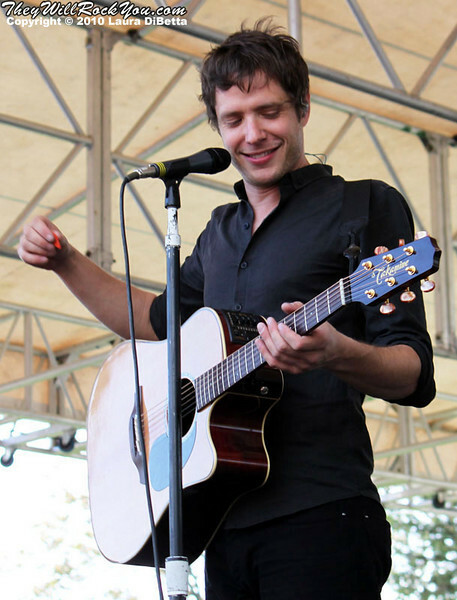 When lead singer Damian Kulash posted a candid explanation of the situation to fans, his letter itself went viral, netting over 500,000 hits in two days. The band was able to secure corporate sponsorship by State Farm of the Rube Goldberg machine to allow fans to embed it and post it anywhere on the internet. Just a few days ago, the band announced it is leaving its label and has launched its own. Starting April 1, OK Go will be in charge of its own distribution and promotion. And they take off with a vengeance, making a flurry of appearances on late night TV before setting off on a North American tour and hitting music festivals like Bamboozle along the way. In the midst of all this, bassist Tim Nordwind took some time to talk with TWRY about videos, record labels, and OK Go’s apparent penchant for nerdy high school pastimes. By now everyone’s seen the new video from OK Go but really, how could we NOT make it our video of the week. Hot off the heels of their new fan-freaking-tastic video, OK Go has announced some new NA Spring Tour Dates…here we go again!